Buying a new computer is a great feeling. You get to start fresh with plenty of available storage space and you know there’s no malware or viruses slowing down performance. In order to keep your computer working properly and staying new for as long as possible, there are a few things you need to do as soon as you boot up for the first time. Andy O’Donnell of About lists the initial steps you should take with any new computer to ensure it’s secure and protected. Your computer may be brand new, but that doesn’t mean the operating system and browser your using are up to date. Chances are there are updates to download and security patches to install. Without installing these, you leave yourself vulnerable to bugs and known holes in security that hackers can easily take advantage of. Your new computer won’t stay new for long if you fail to keep it up to date. The first thing you should install on any new device is software to help keep it secure. 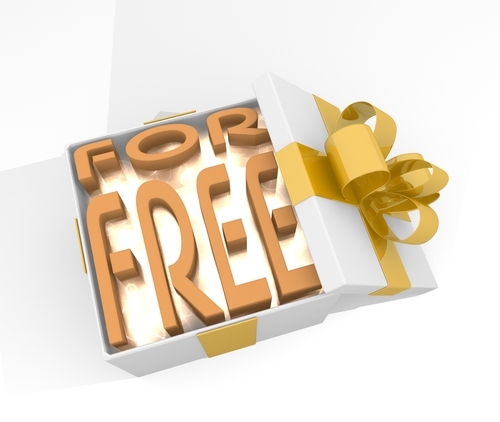 There are a number of antivirus programs available for free, or a small fee. An anti-malware program is also helpful and a firewall is essential. Ideally, you’ll be able to research the best programs available before you boot up your new computer. That way, you’ll be able to download them quickly and you won’t be unprotected for long. As with your OS and other applications, it’s vital that you keep all security software updated and patched to keep it as effective as possible. Once you’ve put protective measures in place, you’ll want to plan for disaster. Even with security software and updates installed, there are still plenty of ways to lose important data. Hackers, natural disasters and theft are all still possible. So, put a plan in place to regularly back-up your most important data to ensure that, even in a worst case scenario, you’ll be able to restore files as quickly as possible. For help with any of these important steps with your new device, bring it to Geek Rescue or call us at 918-369-4335. We also fix computers to save you from having to purchase a new one. There are a number of precautions you need to take in order to stay safe online. From firewalls to updated antivirus software, there are plenty of tools that can prevent a disastrous cyber attack or data breach. These tools still don’t guarantee your safety, however. Even with precautions in place, it’s important to understand where the majority of threats come from and avoid them altogether with safe surfing techniques. Ron Johnson, of Business2Community, listed some of the most common causes of security breaches and how to avoid them. Open WiFi networks are found nearly everywhere you go, but they’re far from secure. Any data you send over public WiFi is easily intercepted and stolen by a third party. This doesn’t mean you shouldn’t ever connect to public WiFi. It means you need to be extra careful about what sites you access while using this type of unsecured network. Viewing and reading websites likely won’t cause a problem, but don’t log-in to any online accounts or your password could be compromised. Most users understand the dangers in giving other people their password, but sometimes even the most savvy users give out their log-in information without even thinking about it. For example, if you’re having difficulty with an account, a customer service representative might ask you for your password. This doesn’t necessarily mean they are going to misuse it, but it’s always a good idea to change passwords once you’ve told them to anyone, including a help desk. They might not always be as careful with your information as you would be. It’s also never a good idea to share accounts with others, even friends or family. If you want to allow another individual to access your account, change the password, give them the new log-in information, then change it again once they’re finished. Downloading anything should be a decision that every user is cautious of. Even seemingly trusted websites can be compromised and a file you download could end up infecting your system with malware. If you’re prompted to download an application, like a media player, go to that player’s official website to download. Be sure to scan every file downloaded with your antivirus program before opening. As for email attachments, don’t download them unless you were expecting a file to be sent to you and you know exactly what it is. Speaking of email, phishing scams are a popular method for stealing your information and hacking into your online accounts. These scams have grown more sophisticated. Often, an email will appear to be from a legitimate website where you hold an account. It will claim there’s been a problem and you need to log-in immediately, or download software, or even put in credit card information. If you have any questions about the legitimacy of these emails, contact the website or business directly, by phone if possible. There’s never a time when a business will email and need your credit card information. By learning some of these common hacker tactics, you’ll be able to be smarter about your online habits and avoid potential threats. If you’d like to improve security at your home or business to further safeguard from malware, phishing scams, hacking and more, contact Geek Rescue at 918-369-4335. A new piece of malware, a trojan called ‘Neverquest’, has security experts scrambling and forecasting a number of future attacks. As Lucian Constantin of Computer World reports, Neverquest has the ability to spread quickly and steal your financial information. It’s believed that the Neverquest trojan originated in July, but the first attacks didn’t occur until months later. Now, experts have spotted thousands of uses of Neverquest and they expect to see that number spiral out of control soon. 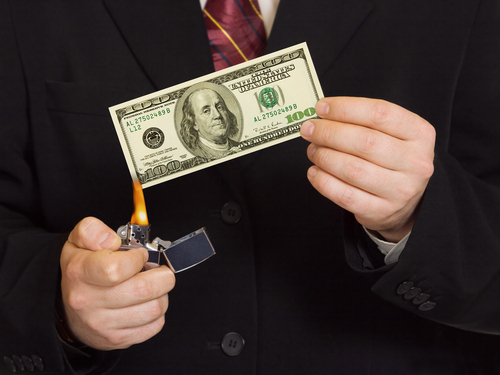 In many ways, Neverquest is similar to other malware that targets financial websites. It’s able to insert its own forms into websites opened in Internet Explorer and Mozilla Firefox. It steals log-in information entered into these malicious forms and can also control your computer remotely. Those are scary features, but that’s not all Neverquest can do. The trojan comes with 28 websites where criminals will be able to steal log-ins that control finances. These are the most popular banking sites and online payment services. To expand the number of sites it’s used with, and to ensure that every infected user is at risk, the trojan also monitors a victim’s activity and searches sites visited for keywords like ‘account summary’ or ‘balance’. When it discovers those sites, it alerts it’s host so they can begin attacking those sites as well. In order to gain access to your computer, hackers first infect websites. When you visit one of these infected websites, vulnerabilities in browser plug-ins are used to install malware directly onto your hard drive. Spam email and links sent over social media are also used to infect users. To keep your computer, and bank account information safe, don’t follow suspicious looking links and don’t visit untrusted websites. Keep your antivirus program running and up to date, as well. If you have malware, trojans or viruses on your computer, bring it to Geek Rescue or call us at 918-369-4335. We clean infected machines and help you protect against future attacks. There are a number of reasons to focus more on security for your mobile device, or the mobile device of your employees. For personal use, 7-percent of smartphone owners have been the victim of identity fraud, which is a substantially higher rate than the rest of the population. For businesses, about two-thirds use the bring your own device model, but only about 4-percent manage the company data their employees access with personal devices. 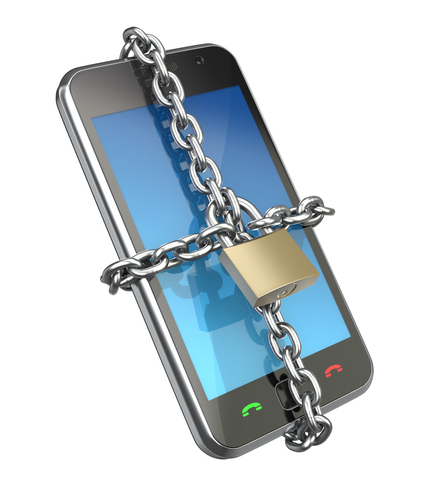 In both of these examples, the issues stem from a lack of mobile security. Eyal Manor, of Information Week, writes that companies must focus on the data being accessed by employees, rather than the devices themselves, to improve security. Many smartphone users don’t keep their apps and operating system updated, which opens security holes. Many don’t use a passcode either. There’s more and more mobile specific malware being introduced every day. These would be reasons to institute mobile device management, but when employees are using their personal devices, it’s difficult for more businesses to demand that type of access and control. Instead, here are three ways to improve security by focusing on the data being accessed, rather the individual device. This tactic takes all of business-centric data stored on an employees device and locks it down in a special, encrypted area. Rather than putting controls on the entire device, companies are able to control only the encrypted area allowing them to ensure the safety of company data. Users may not have strict security in place to restrict who can access their device, but for company information enhanced authorization can be installed so that data isn’t compromised in the case of theft or a lost device. Similar to containerization, only vital company data would be stored behind additional walls, which would require an employees log-in information to get through. Regardless of the other safety measures taken to protect data, if it’s not encrypted, it isn’t safe. Hackers are continually evolving their tactics to get past enhanced security, so data theft remains a possibility. If your data is encrypted, however, you take added precautions that stolen data can’t be accessed by a third party, and won’t come back to damage your company. Remember that encryption is important both for stored data, and for data being sent between two parties. For help improving the security of your company’s data, call Geek Rescue at 918-369-4335. Wireless internet can be finicky. You may get a strong signal in parts of your house, but a weak signal in some rooms. You may also notice your connection seems to get slower over time, or you experience disconnects frequently. 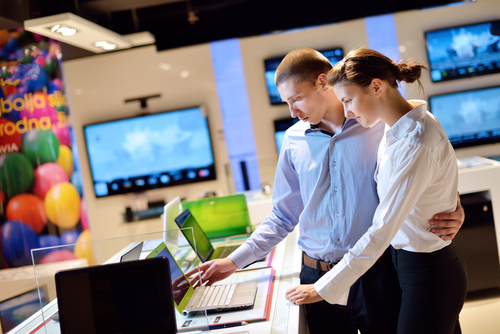 As Steven Scheck writes for Business2Community, there are fixes to these common WiFi problems. Here are some ways to improve your wireless internet experience. There’s not much expertise needed to optimize your wireless internet connection, but some basic knowledge is helpful. For example, your router uses a channel, similar to a radio signal, to broadcast. If you are using the same channel as another router close by, it could cause interference. If you’re experience problems with your WiFi, such as a slow connection, try changing the channel in the router’s settings. Also, if you’re using a ‘g’ or ‘b’ router, it’s time to upgrade. These are typically older models with limited capabilities. Instead, upgrade to a ‘N’ router and you will see dramatically improved performance, such as a larger range and more reliable connection. The physical location of your router has a significant impact on the quality of your connection. Each router has a limited range, so the closer you are to the router, the more likely you are to enjoy a strong connection. So, place the router in a central location in your home. Also, try to keep it away from devices that would cause interference, such as other routers, or even microwaves. Keep in mind when placing your router that signals are weakened when they pass through furniture and walls. If you’re out of options and your wireless network still doesn’t provide a strong connection throughout your home, it’s time for WiFi Repeater. By placing Repeater in range of your router, you’ll enjoy a stronger signal from farther from your router’s physical location. The range of your router will be up to twice as large. Being able to connect to the internet isn’t the only mark of a successful wireless network. Be sure you have the proper security in place. To do so, make sure you’ve changed the log-in information from the factory settings. Turn on encryption and MAC address filtering. Change the default SSID and disable SSID broadcasts. It’s also important to put a firewall in place for your router and PC. 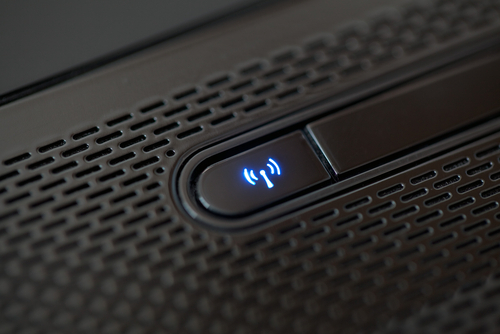 These tips help you create a quality wireless network in your home. For help with your network, to improve security, or to fix broken or malfunctioning hardware, call Geek Rescue at 918-369-4335. 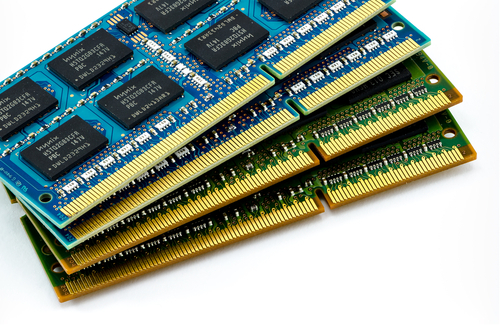 Does Your PC Really Need More RAM? Adding more RAM to your computer has long been considered a sure-fire way to improve performance. But, as this video by TechQuickie points out, that’s not always true anymore. The addition of RAM can make a computer faster in some situations, but not always. If you are using your computer for basic tasks, such as email, normal web browsing and Microsoft Office, there’s likely no benefit from adding more RAM, even if you’ve noticed your system is running slow. PCs that are less than three years old usually come with more than enough RAM for the average user. If your computer is older than three years, it’s possible that adding RAM would help performance, but it’s also likely that there are other issues causing your system to slow down. In many cases, it’s not a lack of RAM causing the decrease in performance. Instead, it’s likely a virus or malware, or a damaged or malfunctioning component. Before buying more RAM for your PC, it’s worth it to check your entire system and try to pinpoint exactly what needs to be fixed or improved. Part of that diagnostic check can be done through Task Manager for Windows users. Task Manager is home to a Performance Monitor, which will show you a graph of your RAM usage. If you notice that most of your RAM is being used, check the running processes to find out what applications are hogging your resources. In many cases, a slight alteration of your habits with applications, or finding alternatives to bloated applications, can eliminate the need for more RAM and improve performance. If you check the Performance Monitor and notice that RAM isn’t being used excessively, but your system is running slowly, that’s a tell-tale sign that there’s other issues at work. In some cases, this is a suggestion that it’s time to upgrade to an entirely new PC. Before you throw money away on computer improvements that might not actually help performance, be sure to perform a diagnostic test to pinpoint the actual problem. Bring your computer, or other device, to Geek Rescue. 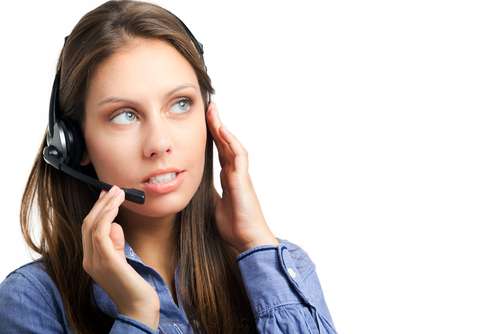 We diagnose what’s causing your system slow down and fix it quickly. Call us at 918-369-4335. The Nexus 5, Google’s latest Android smartphone that many consider a major competitor to the iPhone, was released only a few days ago. Those early adopters that jumped on the phone are already reporting a major issue, however. As Kurt Marko writes for Information Week, the Nexus 5 doesn’t work with most wired headsets. Users say that they can’t be heard by those they call when using a wired headset, but there are some solutions. The problem only affects those using wired headsets, which means the Nexus 5 works fine with bluetooth or when making a phone call and speaking directly into the phone. Some have reported that the Nexus 4 had the same problem, but the Nexus 10 tablet appears to have no issue. Some testing suggests that this is a software problem. By using an app that allows recalibrating of the microphones, it was discovered that a wired headset works great for recording. However, there’s no way to recalibrate the microphone for making phone calls with the headset. Others, however, have suggested that the problem lies in the way the wired headsets are designed. Most are built for iPhone users, but Apple uses different specifications than other manufacturers. What that means for Nexus 5 users is that a work-around is necessary if you want to be heard while making phone calls with a headset. With a headset is plugged into the Nexus 5, hold down the ‘pause/resume’ button. This will connect you to the proper input and allow your voice to be heard. It eliminates the ability to end calls or pause music, however. Google has already publicly stated that they’re aware of the problem and are working on a fix. Until that fix comes, users are stuck being forced to hack their headset, or to go without one. Regardless of what smartphone you use, Geek Rescue fixes whatever problems you encounter. Bring your phone in to one of our locations or call us at 918-369-4335. Over time, your PC becomes slower and less efficient. That’s a natural occurrence, but there are steps you can take to keep your PC running better for longer. Of course, there are always options like upgrading hardware. But, as Whitson Gordon explains at Lifehacker, there are some more routine maintenance projects that will also help. The best part is, the suggestions made here are free. Dirt accumulating inside your PC negatively impacts performance. Your system will likely run slower and tend to overheat. You’ll notice it’s louder too while you’re using it. A can of compressed air is the go to tool for cleaning the inside of your PC. For the outside, like the keyboard, mouse and monitor, consider a Swiffer pad, dust rag or magic eraser. The improvements to the outside are mostly cosmetic, but will make your computer seem newer and nicer. Over time, your monitor’s colors lose accuracy. You may not even notice while using your computer because it happens so gradually. But, taking the time to correct the problem will make a noticeable difference. Most operating systems come with a monitor calibrating tool. Windows and OS X both have a tool that will make calibrating your monitor quick and easy. Particularly if you’re using a laptop, it’s much more convenient to use a wireless internet connection, than to be wired directly to your modem. But, there are inherent problems with wireless connections that can get more frustrating over time with older PCs. A wired connection won’t necessarily be faster, but it will be more reliable. With wireless internet, you could experience lag, or frequent disconnects. To get the best internet connection possible, consider going wired. Sometimes all it takes to improve your PC’s performance is to remove some of the clutter that’s piled up on your hard drive. Chances are, there are quite a few files and applications that you no longer need. Take some time to go through and remove everything you don’t need. You could also take this chance to change where some of your data is stored. Using an external hard drive or the cloud frees up space on your physical hard drive without you having to delete files. Installing the latest versions of the most popular software can be incredibly expensive. But, those same programs might also be slowing down your computer. That’s because many popular programs include a number of options that you don’t need. Some even include additional applications that you never knew you were getting. There are free alternatives for almost any application. With a little research, you can find a streamlined, free alternative that’s better than what you’re currently using. These are the most useful tips for improving an aging computer without needing to be an expert. There are certainly other ways to improve your PC like fixing and replacing hardware, but these are usually best left to the professionals. For help getting the most out of any of your devices, call Geek Rescue at 918-369-4335 or bring your machine into one of our locations. Cloud computing holds a number of advantages for businesses, but some are still apprehensive citing security concerns. Ricky Ribeiro, of BizTech Magazine, spoke with security expert Kurt Roemer, to uncover how companies can stay secure while using the cloud. Here’s a look at the most compelling information. In order to properly secure your company’s data using an entirely physical infrastructure, your security budget has to be incredibly large. Because of this, security in the cloud is, in many ways, an improvement because it takes a smaller budget to put necessary security in place. A company needs to diagnose their security needs and speak to a professional cloud provider, who can manage their cloud services and provided the needed security. A hybrid cloud set-up allows a business to use both a private cloud, which can be organizationally owned or managed by a cloud provider, and public cloud services. Security provisions must be in place in both the private and public cloud to keep sensitive data safe, whether it’s being stored or passed between clouds. To ensure security, connection points between the clouds need to be automated. While cloud computing offers an alternative to the traditional data center, it can’t be managed the same way. When IT departments view the cloud the same way they’d view physical machines, it seems that private clouds are the only viable option. It’s true that the public cloud isn’t right for every application, but they can be used effectively in some situations to increase the cost-effectiveness of the cloud. Data security needs to be diagnosed to decide what is appropriate for the public cloud and what needs the added safeguards of a private cloud. The downfall of cloud security comes in many forms that will be familiar to those with experience in traditional data centers. Weak passwords, account sharing and absence of encryption all lead to common security problems in the cloud. 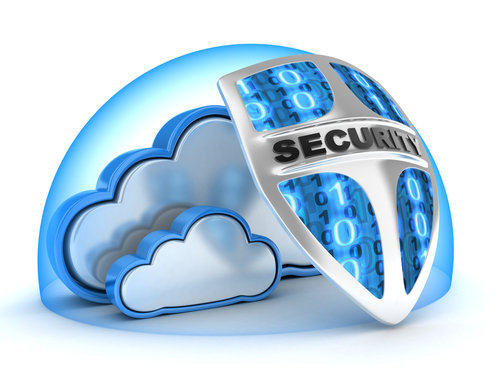 There are a number of protection options in the cloud to overcome these concerns, however. Multitenant administration, delegated responsibilities, distributed lifecycle management and security automation can all help you overcome typical user weaknesses. If your business isn’t using cloud technologies yet, you’re falling behind your competition. To find out how cloud computing helps make your business more efficient, call Geek Rescue at 918-369-4335. 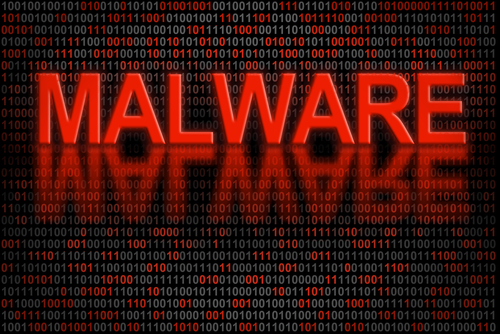 Malware for both PCs and smartphones continues to be a growing problem worldwide. Adam Greenberg, of SC Magazine, reports that much of the new malware discovered in the past quarter uses techniques to falsely verify, or by-pass altogether, digital signatures used to validate legitimate applications and files. Researchers with security company McAfee reported a 30-percent increase in malware for Android,m which equates to about 700-thousand new pieces of malware. Most of this mobile malware is known as “Exploit/MasterKey.A”, which allows for the avoidance of digital signature validation. This method is also being used in the increasing threat of malware for PCs. Malware for PC users using falsified digital signatures is up 50-percent this quarter with more than 1.5-million new pieces identified. These latest tactics are more intelligent ways of making users believe a file of application they’ve downloaded is safe for use. Antivirus software company, BitDefender, reported one malware scam that convinces users that they’re downloading an antivirus program called ‘Antivirus Security Pro’. It contains a stolen digital signature and when run, it identifies false examples of malware and demands money to fix the problem. Examples like this are why it’s important for users to keep security software up to date. Antivirus applications struggle to keep up with the latest tricks of cyber criminals, and it’s impossible for them to catch the latest pieces of malware that attempt to infect your system if they’re out of date. If your computer or smartphone falls victim to malware, or you’d like to improve your security before the next attack happens, call Geek Rescue at 918-369-4335.